SNAFU! : F-35 deliveries were halted and we're just hearing about it now? F-35 deliveries were halted and we're just hearing about it now? The Pentagon halted shipments of Lockheed Martin Corp’s F-35 fighter jets for 30 days this fall after it discovered corrosion around fasteners and a fix was devised, the Pentagon and Lockheed said on Wednesday. 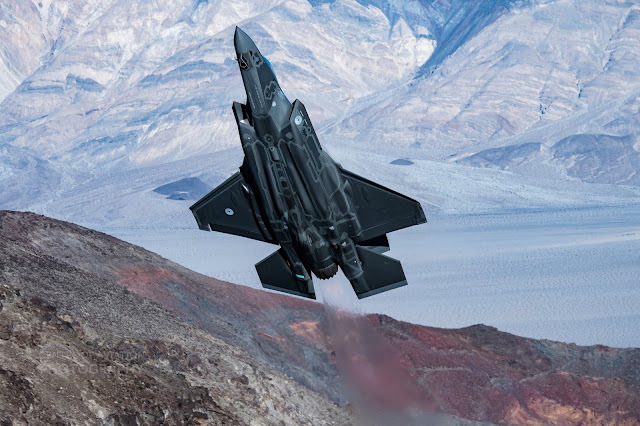 “While the issue was being evaluated, all F-35 deliveries to our customers were temporarily suspended by the F-35 Joint Program Office from Sept. 21 - Oct. 20 while we determined the corrective action plan,” Lockheed said in a statement. Aren't they suppose to be at the stage where they're able to push down the cost because they now know how to build the plane? The most transparent program in history is anything but. The F-35 is like the Walking Dead TV show. It was great in the beginning but it's been terrible after the first few years. Side note: Watch the UK. Theresa May has lost her majority, her defense minister and strong loyalist has resigned and everyone is expecting rates to rise today because a recession is expected in the country and their version of the Fed has NO bullets to fire to kick start things unless they do something now. What does all this have to do with the F-35? Expect the Pound to fall even more in value to the Dollar which will raise the price of the plane to the UK at a time when the public will DEMAND a decrease in defense spending.